The Nobel Prize winning work of Kahneman and Tversky on human judgement has taught us how imperfect our minds are and how it commits systematic errors while making decisions in daily life. As a physician, I was intrigued and struck with a deep sense of unease when I came across their work in the field of behavioral economics. I thought how often we make critical decisions in medicine in life-and-death situations based on judgement calls. Moreover, patients often rely on our expertise and rarely question the evidence behind treatment decisions made by their doctors. 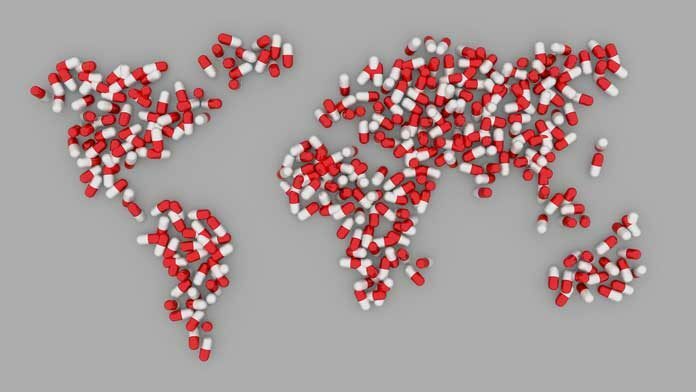 In India, where the unregulated private sector play a major role in healthcare and out-of-pocket expenses are exceedingly high, awareness on high-value evidence-based medicine is extremely important in the general population. It is beyond doubt that human body is complex and decision making in medicine depends on the strong intuition of a seasoned clinician along with scientific and socio-cultural considerations, which necessitates clinical expertise. However, clinical expertise alone is not enough and this is where evidence-based medicine fills in the gap. Evidence-based medicine is defined it as the combination of best available research evidence with clinical expertise and patient values. Two physicians in the United States, Vinay Prasad and Adam Cifu, had recently published a book “Ending Medical Reversal”, in which they had described a disturbing phenomenon in medicine where a current treatment is proved to be no better or even worse compared to a prior treatment which it had replaced after the former was subjected to rigorous scientific investigation. In a paper published in Mayo Clinic Proceedings, Prasad and others have listed a total of 146 medical reversals in the first decade of 21st century alone. While going through the list of studies leading to medical reversals, one particularly caught my attention, as it has probably touched the lives of so many of us and our loved ones. A disfiguring surgery for breast cancer, widely known as “radical mastectomy”, which includes removal of the breast, chest muscles and part of the armpit, was widely prevalent in clinical practice worldwide for much of the 20th century without any convincing evidence that it decreased the risk of cancer coming back or prolonged life compared to alternative surgeries. Bernard Fisher, a breast surgeon in Pittsburgh, conducted a clinical trial comparing radical mastectomy with less aggressive procedures and found no advantage of the former. Meanwhile, for decades, hundreds of thousands of females had to live with the physical and emotional consequences of an unnecessary surgery. Dr. Fisher did face a great deal of resistance from the surgical community for challenging conventional wisdom. Proper understanding of the risk-benefit ratio of treatments based on empirical evidence empowers patients to make an informed choice and protects them from “financial toxicity”. To make their visit with a doctor more meaningful, patients should not hesitate to ask questions demanding evidence behind the treatment they are prescribed. Has the new medication been tested against an older or cheaper alternative and found beneficial? Will screening and early detection of a particular cancer lead to increased chances of cure and add more years to my life? Has the joint surgery or procedure been tested in clinical studies against physical therapy and proven beneficial in terms of long-term functional outcomes? Patients with cancer, for example, should be able to fully understand the side effects of chemotherapy and an approximation of how long it has been shown to prolong life in clinical studies, before committing themselves to the treatment plan designed by their physician. Before subjecting themselves to a battery of tests, patients should ask about the purpose behind them and whether the test results will change management of their disease down the line. Even in scenarios where robust evidence is not available, the conversation between doctor and patient is important for them to accept the degree of uncertainty and make an informed decision based on personal preferences, rather than accepting the gospel dictated by the doctor. It helps patients to receive care congruent with their philosophy and makes them feel like an important part of the healthcare team. Medicine, after all, is a young and imperfect science. In his book “The Laws of Medicine”, Siddhartha Mukherjee has said “If medicine is to become a bonafide science, then we will have to take up every opportunity to falsify its models, so that they can be replaced by new ones”. However, we have to make sure that before adapting a model, we have robust evidence to support that its benefits outweighs the risks, as human lives are at stake. This will not only require the commitment of physicians and scientists, but also improved understanding of evidence-based medicine in the population at large. It will also prevent waste of resources on unnecessary and unproven medical care for the individual and the community. We, as responsible consumers of healthcare, have to break the shackles of paternalistic medicine and embrace reason and evidence to define the future of healthcare in our country. Rajshekhar Chakraborty is a physician and clinical researcher, with special interest in blood cancers and cancer survivorship. He has pursued his medical degree from University College of Medical Sciences, Delhi and is currently working in the specialty of Internal Medicine in Minnesota, USA. He is also actively involved in clinical research in the department of Hematology in Mayo Clinic, Rochester. He is passionate about high-value care and evidence-based medicine.